Broom Hilda has hit the big time, and we’re not talking about her waistline. Deadline reports producers Gilbert Adler and Jason A. Rosenberg plan to adapt Russell Myers’ witch of newspaper comics fame as a feature film and more. 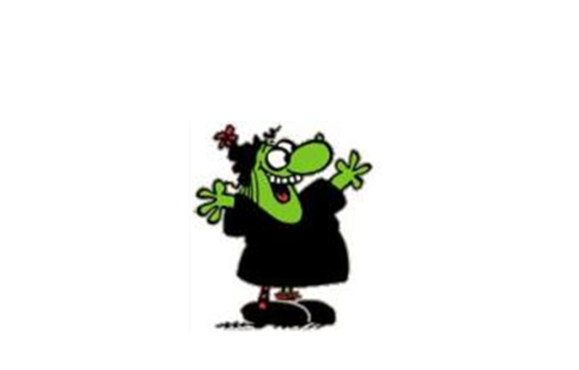 Broom Hilda was previously adapted for television. It first featured on Archie’s TV Funnies, which aired on CBS for two seasons, before being cancelled in 1973. In 1978, Broom Hilda was part of the Fabulous Funnies TV show, which aired for 13 episodes before being cancelled by NBC. Adler has produced TV series including Tales from the Crypt (1991-96), Freddy’s Nightmares (1988-90), and Perversions of Science (1997). According the report, Broom Hilda could be returning to TV, too. Adler and Rosenberg are looking to capitalize on the IP [intellectual property] in every ‘witch’ way they can. “Russell Myers has been entertaining audiences for years. We’re excited to bring this to the big screen. We plan to create a franchise and leverage the IP across film, television and digital media,” said Rosenberg, who previously worked at Empire Entertainment producing commercials before meeting Adler. What do you think? Have you read the Broom Hilda comics? Do you remember the Broom Hilda cartoons on TV? How do you like the sound of a Broom Hilda movie?